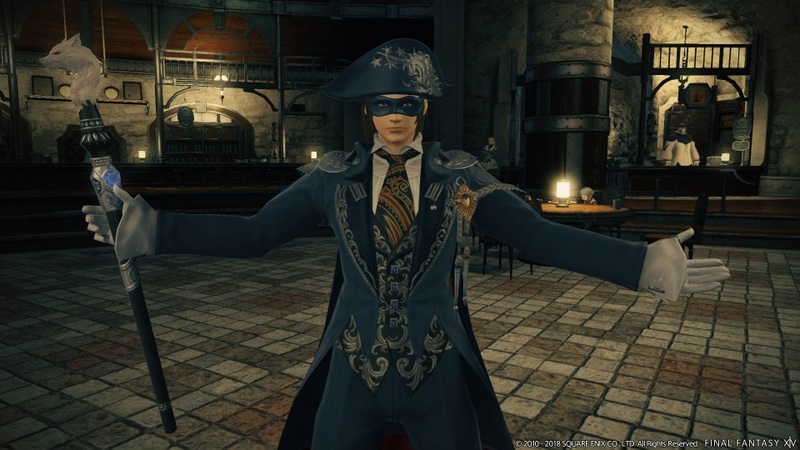 Square Enix’s Lead Battle System Designer, Tsuyoshi Yokozawa, took to the stage at the Final Fantasy XIV Fan fest today to share some new details about the brand-new Blue Mage job. As detailed yesterday, the profession is set to be introduced with Patch 4.5, A Requiem for Heroes (arriving in two parts; part 1 coming in early January and part 2 in late March 2019). Blue Mages will have access to the Masked Carnivale, a unique solo arena where you’ll need to use abilities that exploit enemy weaknesses to overcome the foes. By defeating enemies after witnessing them performing certain techniques, blue mages may “rarely” learn new abilities.